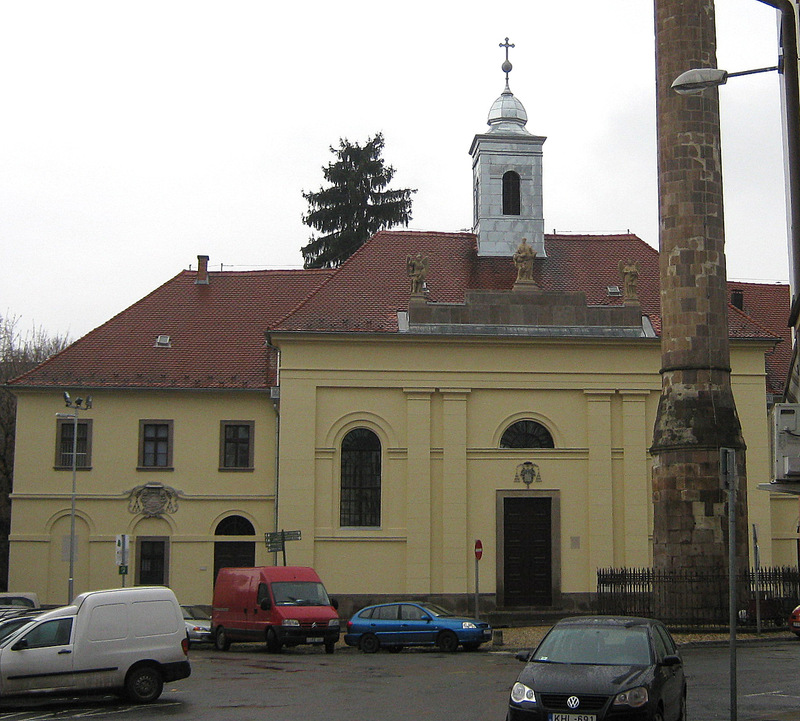 The former Brothers of Mercy Hospital, Monastery and Church: In 1726, Bishop Erdődy Gábor invited the monks of the Brothers of Mercy Order (founded by St. John of God) to Eger; the brothers dedicated their lives to patient care and treatment. The aim of the bishop was to put them in charge of the operation of the hospital he was planning. 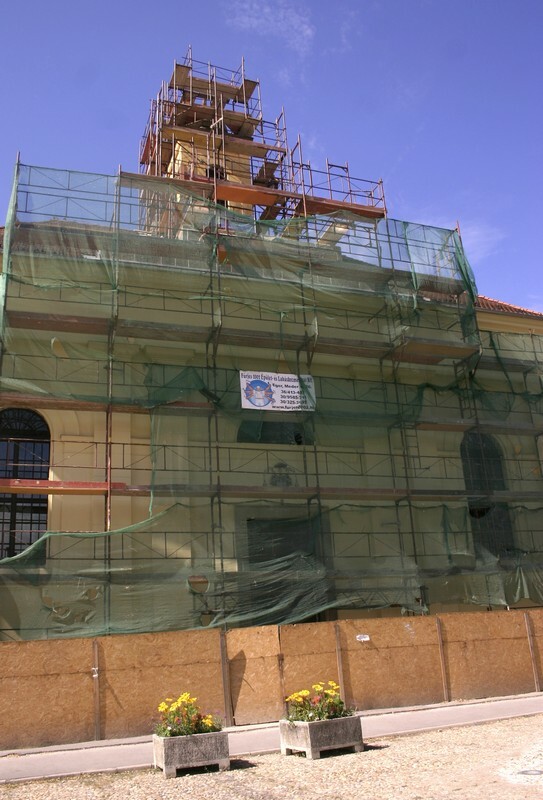 The designer of the hospital and monastery buildings was Giovanni Battista Carlone. The most valuable parts of the monastery were the monastic dining room (refectory), the painted wood panelled pictures, the work of Johann Lucas Heutter, monk brother. The two paintings in the spandril of the refectory are the works of Huetter and Georg Tobenz, Vienna painters. The small mosque, which first served as the chapel of the hospital and the monastery, was pulled down in 1841, and was replaced by the present church. 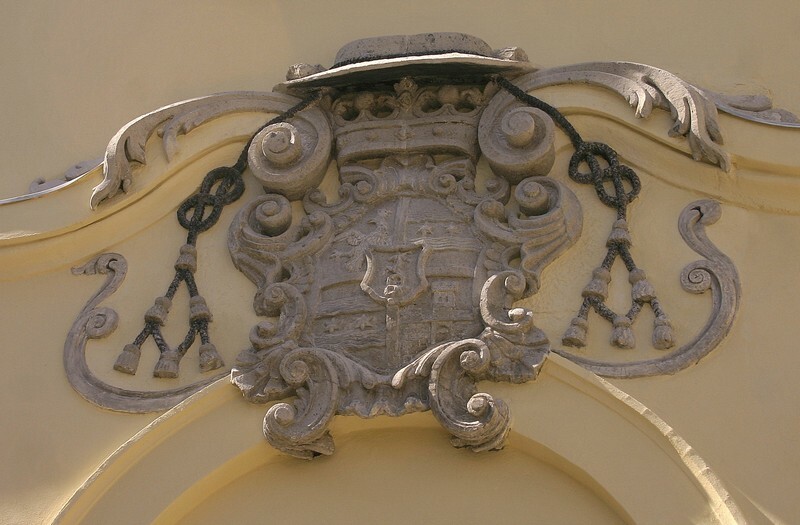 Above the entrance is the coat-of-arms of the founding bishop, Erdődy Gábor. 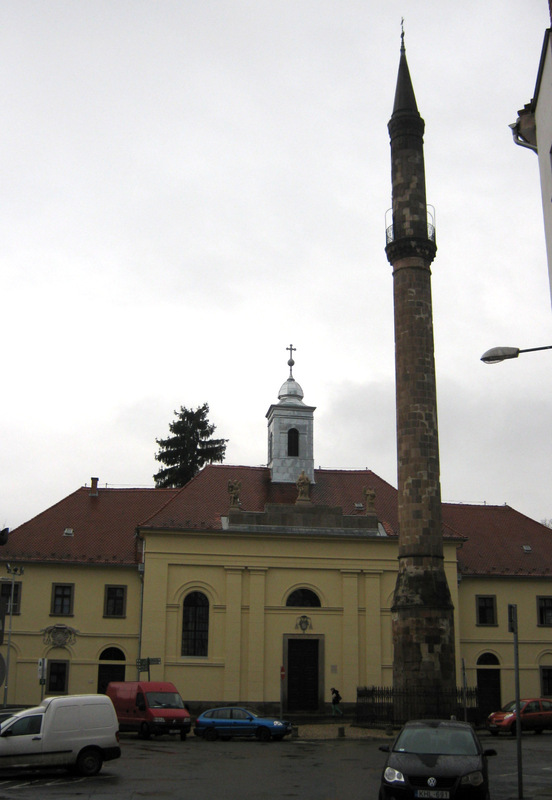 The medical school, Scola Medicinalis, worked in this building between 1769-75, founded by Bishop Eszterházy Károly and Markhot Ferenc, County Chief Medical Officer.